Narrator: Speakers, publishers, consultants, coaches and info marketers unite. 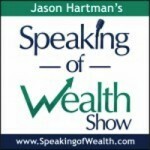 The Speaking of Wealth Show is your road map to success and significance. Learn the latest tools, technologies and tactics to get more bookings, cell more products and attract more clients. If you’re looking to increase your direct response sales, create a big time personal brand and become the go-to guru, the Speaking of Wealth Show is for you. Here’s your host, Jason Hartman. Jason Hartman: It’s my pleasure to welcome David Newman to the show. He is a marketing expert who works with corporations, entrepreneurs and groups who want to use speaking and that all important concept of thought leadership and those strategies to sell more products and services. He is the author of an upcoming book Do It! Marketing: 77 Ways to Boost Sales. David, welcome. How are you? David Newman: Hey, Jason. I’m great. Glad to be with you. Jason Hartman: Well, the pleasure is all mine. I always like to ask our guests where are you located? David Newman: I’m outside Philadelphia, Pennsylvania. Jason Hartman: Fantastic. We live in such a world nowadays where I always say geography is less important than it’s ever been in human history. You know, I always like to just ask where you are when we’re talking to you. But, hey, tell us a little bit about Do It! Marketing. David Newman: Well, thank you for asking. Do It! Marketing is a marketing strategy firm that works pretty much specifically with authors, speakers and experts to help build their thought leadership platform. I know that that’s one of the things we’re gonna talk about today which is how do you build your thought leadership platform, whether you’re an entrepreneur, whether you’re a corporate executive, whether you’re an independent professional, but that’s what we do. I think these days, almost every product, every service, every profession has been commoditized to the point where it’s the experts who win in the marketplace and so my job is to expertise the clients that we work with. Jason Hartman: Well, expertising clients, now I think this viewpoint has really subsided in recent years, but there are still people out there who they have a business and they sell widgets. Maybe we can talk about some examples, specific businesses, clients you’ve worked with and so forth but they sell widgets. And they don’t see themselves as a thought leader. They don’t see how they could apply the concept of thought leadership to their business. Now, I’m a big believer in it. You know, I did it for myself in the world of podcasting very successfully and I believe that anybody should build a brand and they should sort of get themselves and their personality out there in front the marketplace and promote what they do in themselves, of course. But what do you say to people who think “Well, I just do what I do. I have a business, I’m a salesperson. I’m an expert who fixes TVs or cooks at a restaurant.” Or whatever it is, I don’t know. They don’t think of themselves as the thought leader. How do you persuade them? Or are there some people that just aren’t, that it’s maybe not fitting for them? David Newman: Well, I think you put your finger on it. So it does not fit absolutely every profession, absolutely every industry. But as you and I believe and as you and I have seen, I’m gonna say it fits about 90%. So I’ve seen thought leadership marketing work for a home heating oil company. I’ve seen thought leadership marketing work for a uniform company, uniform distribution company. I’ve seen thought leadership marketing work for a septic take cleaning company. You would think, okay, this is a numb nuts business, these guys come to my house, they’re dirty, they’re under the sink, they’re in the fireplace, they’re doing my basement waterproofing. One of the biggest success stories, just a quick plug – I make no money from this and no connection besides I’m a customer – BQ Basement Systems is a waterproofing company. The CEO, the owner of that franchise – and it’s a multi-million dollar franchise operation – he wrote a book. It’s a beautiful, heavy, full-color photographic book about basement waterproofing and all the hundreds of BQ basement franchisees. They give away this book on their sales calls. You know why? Because thought leadership, whatever your business, it’s about three things. It’s about credibility, it’s about trust and it’s about relevance. In any business, if you can say I am the high credibility provider, I am the high relevance provider, I am the high trust provider of any product, any service. The bottom line is you’re gonna win. Jason Hartman: I agree with you, I agree with you. I’ve tried to convince friends of mine they should be podcasting, friends who I see are passionate about something they do either for work or as a hobby and they’re good at it. And I’m thinking you gotta expose this to the world. You don’t have to take over the world, just influence 500 people and you got a business for yourself, a real business. David Newman: Absolutely. You…You are a master of podcasting. You have a great voice, you have a great style. So, to you, podcasting is natural. What I recommend to people – and this is what 80% of business owners miss when it comes to choosing their marketing tools – it needs to be easy, effortless and enjoyable for you. So you and I, we love to speak, we love to use our voice, we love interviewing people, we love featuring and leveraging other people’s expertise. To us, we should absolutely be podcasting. To other people, maybe they prefer writing strategies. And so they should hunker down, they should double down on writing strategies for their marketing. Some people love face to face or they love networking and they should hunker down on the networking strategies. But it has to be easy, effortless and enjoyable, otherwise you’re not gonna do it, you’re not gonna stick with it. I mean, you’ve done 200-250-260 podcasts. Clearly, you love it and you wouldn’t have done 260 of them if you didn’t love it. Jason Hartman: Actually, with the other shows there’s about 700, but yes, thank you. I love to the 250 too. But, I gotta tell you, your comment on writing is so apropos because if you look at the recent success of the mommy bloggers, amazing. Just incredible what a blog with a following can do. I know people who does fashion blogs or YouTube videos, too, not just traditional podcasting but an incredible amount of success. So talk about, if you would, some of those strategies – maybe drill down on them a little bit if you would. David Newman: Well, I think you touched on two things – one is the method or the media that we choose to distribute our thought leadership and attract people to our expertise. And obviously, when you attract people to your expertise, whether you’re a financial planner, whether you’re a mommy blogger, whether you sell donuts and Sheboygan, whatever it might be. You’re also attracting people to your products and your services, so that needs to be said number 1. But whatever you choose, I think the other thing that you put your finger on – so valuable – whether it’s with the mommy bloggers, whether it’s with working with speakers, consultants, authors, you have to have a niche, you have to have a tribe, you have to have a specific set of problems, pains, heartaches and headaches that you solve because here’s the sound bite with any of your marketing, with any of your messaging, there’s no such thing as a generic solution to a specific problem. And all of our prospects, whether you’re a financial planner and you’re dealing with high net worth divorced women, whether you’re a consultant and you deal in small family run businesses, whether you’re a mommy blogger and you’re talking about diapers and coupons and balancing 5 different after school school sports, there are specific pains, problems, heartaches and issues that you need to position yourself as the expert, as the go-to resource. So not only do you have to choose your marketing tools, you have to choose your tribe, you have to choose your message. You cannot be all things to all people. And I’ll tell you, Jason, early in my career believe me I made all these mistakes. I mean, I went out there – 30 different workshop topics, jack of all trades, master of none – if you needed leadership, sales, marketing, HR, hiring, firing, basket weaving, time management. And it took me a couple of years to figure out, wow, dude, this is not working. This is not the path to success. Because I call these people now same-o lame-o speakers or same-o lame-o experts. It’s like you look like everybody else, you sound like everybody else. And this is again true in all the different fields that we find ourselves in. you don’t want to be a same-o lame-o insurance agent. You don’t want to be a same-o lame-o plumbing company. You don’t want to be a same-o lame-o web sesigner. You have to declare – you have to put your chips on the table and say here’s the people that I want to be a rock star to. Here’s how I can help them and improve their condition. Jason Hartman: Yeah, so that’s a very good point. And definitely the first step is deciding on what you are. And everybody wants to be a generalist because they think I want to appeal to as wide a market as possible. Why would I want to exclude potential clients? Well, the concept of polarization, and if you look at it with the political speakers on both sides of the aisle, it’s a great example because who wants to listen to the reasoned generalist? They want someone with an opinion. They want someone who’s going to lead them to an idea. A good brand repels as much as it attracts. So you can repel half the people and attract the other, stop worrying about who you’re repelling, and just do your attracting. 3 and a half billion fans is enough. I’m only joking there obviously. David Newman: You have a thriving business as you said, Jason, with the 500 fans, the 300 fans, the 1000 fans. You don’t need the universe to love you. You need a specific subset of the universe to love you, listen to your expert opinions, follow your guidance, follow your advice, pay you for your expertise, your products , your services, your coaching, your consulting, your speaking, your keynotes, your seminars. It’s like a rock band. They want to be part of your fan base and they want to tell 10 of their friend you don’t need a lot of those people to have a very successful, very thriving business. Jason Hartman: That’s very true. So any examples you want to share of the unlikely thought leader who declared and decided on their brand and turned it into a success. David Newman: Wow, the unlikely thought leader. Jason Hartman: Well, maybe I shouldn’t say unlikely. Just any thought leader with a brand – I’m giving you a tough one there. What are some of the people that have declared? David Newman: That’s a great point, so I’m gonna give you one of my heroes which is Seth Godin. And you look at Seth Godin, a little kind of bald nebbish guy, techie guy out there in Silicon Valley, running a little small advertising unit of Yahoo! He folds that up, sells his company to Yahoo!, stays for a couple of years, then gets out. All he does is speaking and blogging. He doesn’t do consulting, he doesn’t do Facebook, he doesn’t tweet. He is so focused. He says I write books and I speak to groups and anyone that wants anything else, I’m really sorry – I don’t do that. I don’t do that. So it’s almost an exercise in less is more. It’s an exercise in subtraction. And this might be something great for all of our folks listening to figure out there’s the 80/20 rule. So 80% of your clients or customers come from 20% of your marketing activity. My question is if that’s true, and for most of us it is, why are you doing the other 80% of your marketing? If 20% of it brings in the lion’s share, imagine the scalability that you would have if you said I’m gonna do the 20% of my marketing and selling and client attraction activity, I’m gonna let everything else go. And that’s the Seth Godin strategy – says here’s the things that I’m doing and there’s a much larger slice of the pie that I’m not doing. Now, guys like you and me, multiple streams of income, multiple media, masters of all media, we’re blogging – we have 17 websites going, we got 750 podcasts, we’re crushing it out there, that’s a very different path to success than someone like Seth Godin who is the minimalist and says here’s a whole bunch of things I’m not doing, but for the things I am doing I have an incredible following. If I put out a book, I can sell a million books in 2 weeks no problem. And he can because he’s so focused and his distribution channels are so limited that people are hungry. People are starving for the next book if they’re a Seth Godin fan. Jason Hartman: I think one of the reasons people don’t do that is that that fear of loss – it may go back, David, to the old David Ogilvy quote that says I know that only half of my advertising is working and the other half is a waste. I just can’t tell which half is which. So if people for sure knew the 80% that wasn’t profitable, they would probably be more willing to give it up. Any tips on how they can tell? David Newman: Well, I think part of it is what I call the triple E rule which I mentioned before, the Easy, Effortless and Enjoyable. Clearly, Seth Godin loves to write and he loves to speak. If he didn’t love those things, he couldn’t do those things 24/7 to the amount of proliferation – a prolific amount of writing and speaking that he does. So that’s number 1. Number 2 is I would start paying attention. I would start really paying serious attention to where your marketing and sales and business development efforts are generating results and move away – and I talk about this in the Do It! Marketing book of course – move away from you never know. I have a chapter in the book called “You never know will kill you.” And here’s what you never know sounds like. “Oh, you know, I’ve been blogging for years and years and years and I was about to stop because I’m not generating any traffic and it’s not working and I hate doing it, but then a client said to me ‘Oh, I just read your blog’ and that caused him to pick up the phone. You never know. “ Or “We’re taking this prospect out to lunch for years and years and years. And he went dark on me and then 6 months ago he pops out of nowhere and says “Oh, by the way, here’s a little small project – small project, not a profitable project – so I guess I’ll keep taking all kinds of people to lunch because you never know. And we all have these You never knows in our business and I’m like, wow, dude, you have to stop with the ‘you never know’. Focus on the things where you do know, where it’s obviously and abundantly clear to you and to your prospects and to yoru clients and the people that you want to serve. It’s abundantly clear that it’s working and do more of that. Jason Hartman: No question about it. Great, great point – I love it. David Newman: I mean you wouldn’t be at 750 podcasts if you weren’t sure. Jason Hartman: Yep. I love it, it works. The three E rule, very good one. David Newman: Right. Easy, effortless and enjoyable. Jason Hartman: Very good guide right there. Announcer: What’s great about the shows you’ll find on JasonHartman.com is that if you want to learn about investing in and managing income properties for college students, there’s a show for that. If you want to learn how to get noticed online and in social media, there’s a show for that. If you want to know how to save on life’s largest expense, there’ s a show for that. And if you’d like to know about America’s crime of the century, there’s even a show for that. Yep, there’s a show for just about anything only from JasonHartman.com or type in “Jason Hartman” in the iTunes store. Jason Hartman: So what are some of the other things in the Do It! Marketing? Now, the book is not out yet, right? David Newman: The book is not out. The book is coming out summer 2013. Jason Hartman: Fantastic. And is that your first book? David Newman: That is my first sort of real book. As we all do, right, experts, authors, speakers, we’ve got workbooks, we’ve got things that we do for our seminars, but this is my first traditional publishing partnership with AMACOM books which is the American Management Association. They’ve been great – I think it’s gonna be a fantastic experience. We’re not done yet but I think it’s gonna be a fantastic experience. Jason Hartman: Absolutely. And you have some great names for your services like Speaker CoPilot and then you have the product development toolkit and so forth. Tell us a little bit about Speaker CoPilot, helping people get into the business of speaking, right? David Newman: It is. And it’s a couple of things. For years and years I was a marketing strategist and a marketing coach for speakers and my clients would say to me “David, this is all great. This is all wonderful. Great advice, great strategy, great tactics, great tools. I don’t have time. Could you just do it for me? Could I just give this right back to you and could you just have some magic elves implement all the smart marketing stuff that you’re telling me I have to put back on my plate?” So two, three, four, five times, Jason, I said “No, no, no, that’s not what I do. That’s not my business model.” And again, this is a lesson for everyone listening, right? Have your clients, have your prospects tell you what they want to buy. So by the fourth or fifth person that I said “No, no, no. I don’t do that. No one does that. No such company exists. You’re asking for the rainbow unicorn of the speaking industry. I realized, well gosh, if I created the rainbow unicorn of the speaking industry, at least these 4 or 5 people would buy it and maybe a whole lot more. So that’s where that Speaker CoPilot sort of done for you, done with you program came from is that we’ll take a speaker – and we work with folks who just fresh into the speaking business all the way up to the 25 year veteran speaker hall of fame folks – anyone who’s positioning or repositioning their speaking business would be a good candidate for this. And we say, listen, here’s your marketing program, here’s your plan, here’s your template, here’s your tools, and, by the way, we’ll implement this between 40 and 45 hours a month. We’ll do this right alongside you. And so you have the strategy, the tactics and the team. And, again, three years ago this service didn’t exist because I was too dumb to think about it and I had to listen to my clients like our folks listening need to listen to their clients in their world and let people tell you what they want to buy. That’s truly how that service came to be is that if my clients didn’t ask for it I wouldn’t have started doing it. Jason Hartman: Well, you know, I think the infopreneur business, it’s always taking evolutionary steps and then sometimes revolutionary leaps. But one of those steps that I think it really is taking is we’re moving from the “how to” to the “done for you” concept. And so I agree, information is so plentiful and it’s become so inexpensive that it’s not a question of knowing. It’s a question of execution and implementation. I think that’s great. David Newman: And so here’s the spectrum. This applies to everybody listening and you totally put your finger on a huge, huge trend. And this is whether you’re talking about consulting services, coaching services, speaking services, financial services, any kind of service. There is information, there is recommendation, there is implementation and there is outcomes. And information is now free. Information wants to be free, information is free. This podcast is free, right? YouTube videos are free, articles are free, blogs are free. There’s no shortage of free information. Then there’s recommendation which is insights, advice. Situationally, what should I do? There’s guidance. That has more value than information – not much, but some. Then we have implementation. That’s the done for you, done with you. But ultimately people aren’t even buying that. They’re buying the outcome. They’re buying more speaking, they’re buying more passive revenue. They’re buying more clients, they’re buying more customers, more engagement, more visibility, more leads on the website, more opt-ins to my email list. And I think if you offer that and start speaking that language, again, in your world you are going to attract a whole different level of client that’s gonna invest with you a whole different level of budget than if you were simply an infopreneur/infobroker. You need to apply that information towards the outcomes that are valuable to them. That’s where the real money is. Jason Hartman: Yeah, great point. And that’s probably the highest win-win scenario too because instead of selling people products or even services that become doorstoppers of their products or bookshelf decorations or services even if it’s coaching, for example, or consulting, you see that it’s implemented. You can actually create the value for the client who may at times – and I know we all probably know this – be their own worst enemy, right? David Newman: Oh, very much so. And, again, think about our typical frustration as a speaker, as a coach, as a consultant, as a facilitator, as an independent professional expert of some kind. The biggest frustration that I hear from folks is I do create work and I deliver so much value and my clients don’t implement in. My clients don’t act on the advice, on the strategy, on the tablets, on the tools. Now, on one hand you can say well that’s not your fault, and really it’s not, but on the other hand imagine it if you had 100% successful clients who all of a sudden took your material, implemented it or implemented most of it and then they said “Oh my gosh, I worked with Jason and you wouldn’t believe the results.” Well, Jason didn’t necessarily do it. Jason made you do it and so you were the catalyst for them to get into action, because, at the end of the day, only action creates results. And you can advise, you can coach, you can consult, you can drop the 5 pound report on their desk, you can put the 10-CD info product on their bookshelf. If they don’t listen to it and they don’t implement it, they’re not gonna sing your praises and share your success stories that you caused them to create. Jason Hartman: No question about it, no question about it. Well, just wrap this up for us if you would and please give out your website and of course tell people where they can learn more. David Newman: Sure, Jason. I appreciate the question. So lots and lots of free resources on the website, it’s www.DoItMarketing.com. There’s a 96 page strategic marketing e-book. That’s free. There’s about 300-400 blog entries and videos and all kinds of great things in the resources section there. So I invite people to engage with that material. If you’d like to get in touch with me for a no strings just kind of “Hi, how are you – thanks for listening to Jason’s program” consultation, my email is [email protected] I’m happy to do a 20 minute no strings, no BS consultation and actually call it a no BS consultation. So it’s not a sales call. It’s not a veiled pitch for anything. It’s just me helping you implement some of the things that Jason and I talked about and stay connected on the website. 2013, by the way, Jason, speaking of things that you enjoy and the triple E strategy, I am blogging daily. And this is new for me. And I’ll tell you it’s not easy but it’s hugely rewarding. So there is a blog post every weekday, Monday through Friday, at DoItMarketing.com/blog and stay tuned. And some of them are even good. Some days I’m on it. Some days it’s good stuff. Jason Hartman: Well, there is a very honest answer right there. We’re not always all on it. David Newman: Not always on it, you can’t be 100%. Jason Hartman: That’s for sure. Well, David Newman, thank you so much for joining us today. Again, I second that there’s a lot of great resources at your website. And, folks, become a thought leader. Whatever it is you do, that’s what the world wants. And it’s just a much more scalable, relaxed successful way to run almost any business. As David mentioned, our guest today, 90% of the businesses out there can use this. Heck, what did you say, David, a septic tank cleaning company? David Newman: Septic tank cleaning company. Jason Hartman: There you go. If they can do it, anybody can do it. So very good advice. Thanks again for joining us today. David Newman: Jason, thank you.